“The computer assigns a unique lottery number and allocates seats in accordance with the priorities mentioned in the online application. This ensures seats not allotted are drawn back to the pool of seats so that other deserving candidates are allotted,” Commission for Public Instruction Mohammad Mohsin has told the Lokayukta. Jyoti and Deepak Jadi of Dajibanpet were hoping to get their daughter, Sanjana, a Right To Education Act (RTE) quota seat in Class 1 for 2015-16. However, their hopes got dashed after school authorities informed them that they would not be able to give them a seat in Class 1 due to the change in RTE guidelines, which mandates that unaided educational institutions should compulsorily admit students under RTE from LKG itself. Despite their meagre income, the couple had somehow managed to mobilise funds to get Sanjana admitted to Durgadevi English Medium School in Dajibanpet for LKG, only with the hope that they would have to pay the fees only for the first two years. Deepak works as a mechanic and Jyoti stitches clothes at home. The plight of Shrinivas Irakal, who runs a petty shop, is slightly different. His daughter Shambhavi, who is now in LKG at Chinmaya Vidyalaya, will move to UKG in the next academic year. She will also miss the RTE facility because of the changed guidelines. Mr. Irakal pleaded with the school authorities to get her admitted to LKG under RTE, but they declined his request as there is no provision for the same. According to a circular issued by the Department of Public Instruction, only in those schools that do not have kindergarten, admission to Class I can be given. According to Secretary of Bhoomi Education Trust and social activist Bhaskar Jituri there are hundreds of students in the city alone who are being declined seats under RTE quota because of the changed guidelines. He has petitioned the Chief Minister hoping for a solution. When contacted, an official of the Education Department admitted that there was a problem. “In aided institutions, the students can be admitted even for UKG and Class I under RTE. Problem is only with unaided institutions as they have to mandatorily admit students from LKG. 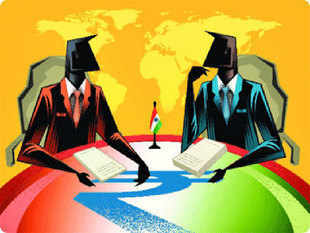 Those who wanted to get admitted to the same school under RTE quota cannot do so now,” he said. When contacted, Additional Commissioner of Public Instruction, Dharwad, Viranna Turamuri said that he had received a memorandum on the issue seeking amendment to the guidelines and the same had been forwarded to the government. Private schools are unhappy with the State government for the delay in reimbursing the admission fee of children admitted under the Right to Education Act. During 2014-15, the schools did not get even one instalment, even though they should have got the entire amount in two instalments by January this year. Hassan Unaided School Managements’ Association has convened a meeting of its members here on Saturday to discuss the delay in the reimbursement of fees, among other issues. H.D. Kumar, secretary of the association who runs Netravati Education Institute, told The Hindu over phone that as per the schedule, the government should release the first instalment by September and the second by January of every academic year. “So far, we have not received any instalment so far. Recently, the officials said that the reimbursement amount had been released by the government and it would be credited to respective bank accounts soon. But, till date, no money has been credited into my account,” Mr. Kumar said. However, when the officials of the Department of Public Instruction were contacted, it was stated that the amount had been released. It was said that Rs. 2.38 crore had been released as reimbursement of admission fee of 4,534 students in 277 schools. The state Department of Public Instruction is planning to allot Right to Education (RTE) seats through an online lottery process. According to sources in the department, a software is ready and officials are awaiting a nod from the authorities. A demonstration of the software will be shown to senior officials at a meeting on Wednesday. “Initially, there were some technical glitches. After two days, everything was sorted out and even parents did not face much problems. To allot seats in a most transparent manner, we have decided to go for the online lottery process,” said a senior official of the department. Sources said the online lottery for allotment of RTE seats will be similar to the seat allotment system followed by Karnataka Examination Authority (KEA) for allotting under-graduate seats to professional courses. “We have to decide whether the seat allotment will be school-wise, block-wise, taluk-wise, district-wise or state-wide. Once this is decided and the demo is approved by higher authorities, we will announce the dates,” said the official. The technical staff of the department are suggesting the online lottery system be decentralised to avoid rush. According to the schedule released by the department, the lottery process was supposed to be completed by February 28. The officials assured that there will be no problems with the online lottery system as the applications will be cross-verified at the Block Education Officer (BEO) level. “If there are applications with fake documents, then they will be verified and rejected by the BEO itself. For the online lottery system, we have created three slabs — for those with an annual income below Rs 1 lakh, second is below Rs 2 lakh and the third is below Rs 3.5 lakh. There is no question of injustice to any of the applicants as the system itself will pick the eligible applications,” stated an offficial. According to statistics available from the department, over 3.89 lakh applications have been received for 1.10 lakh RTE seats available across the state. The highest number of RTE seats are available in Bengaluru South with 17,405 followed by Bengaluru North with 11,988. A survey by AIK Soft Solutions, a private firm, has revealed that 90 per cent of city students miss 40 per cent of classes. This is mostly because of poor concentration during post-lunch hours and also absenteeism, it says. “To help out such students, we have come up with a E-Tuition facility where students can access recorded video classes for that particular subject. We charge Rs 1,000 per student per annum,” said Imran Khan, Managing Director of AIK Soft Solutions. Students can access the classes on studyonweb.in. Nearly a month after the government announced the release of funds for reimbursing fees for the reserved quota seats under the Right To Education Act (RTE), the money has reached very few students, according to heads of schools. In a circular issued on February 6, the Department of Public Instruction announced the release of Rs 160.23 crore towards reimbursement for the year 2014-15. The headmistress of a school in Thippasandra, Bengaluru, said she had gone to the authorities to claim the reimbursement, but was told that the amount was still being processed. “There are five students who study here under the reserved quota and this roughly amounts to around Rs 30,000. The department should keep its word and pay the amount on time,” she told Deccan Herald on the condition of anonymity. D Shashi Kumar, director, Blossoms School, Kanakapura Road, said his school was yet to get around Rs two to three lakh as RTE reimbursement. “Only a few schools in Kolar and Gauribidanur under the Associated Managements of English Medium School in Karnataka have been reimbursed so far,” he said in his capacity as the general secretary of the association. K Anand, director, Primary Education, DPI, said that while the amount had been released, the responsibility of disbursing it at the ground level fell on the deputy directors of public instruction and the block education officers. Unaided schools under the ambit of the RTE Act are eagerly awaiting the reimbursement amount this year. The reason being, unlike in previous years when the amount was released in two instalments (around September and January), the government decided to release this year’s amount in one shot, which according to schools, has led to a lot of inconvenience. “A number of mid-level schools run their routines with the monthly fees and with less or no reserve funds. Such schools have faced hardships in terms of paying teachers their salaries and other overheads such as PF, ESI, to name a few. Added to this are other expenditures on maintenance such as rent, electricity, etc,” said Shashi Kumar. It has come to the notice of many private school managements and education officials that parents applying for seats for their children in schools under the Right To Education (RTE) Act quota are applying with more than one online form, indicating their first preference against each school to better chances of getting seats. According to instructions from the Department of Public Instruction (DPI), each candidate can apply with only one online form to a maximum of five schools within their ward, in their order of preference. 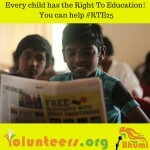 As many as 62 seats are earmarked under the RTE quota in RR English School, Nandini Layout. “Many parents have told me that they have applied to a number of schools with different forms, indicating their first preference for each school to increase their chances of getting admitted,” said Srikantappa, principal of the school. D Shashi Kumar, director, Blossoms School, Kanakapura Road, said that a number of parents were indulging in such practices. “There are even cases where parents have applied to five different schools with five different forms,” he said. However, if only two schools fall under a particular ward, students can apply to other wards with another form, the official added. School managements have also noticed that applicants are providing fake income certificates, proof of address etc. For example, of the 200 seats under the reserved quota in Blossom School, 90 percent have applied with fake income certificates. “We have received certificates indicating incomes as low as Rs 10,000 to Rs 12,000 per annum,” Shashi Kumar said. February 21 was the last date for submitting application forms. Presently, applications are being screened. MANGALURU: Even as the Dakshina Kannada district showed a poor response to the Right to Free and Compulsory Education (RTE) Act application online, the department chalked out several initiatives to attract parents. The government has allotted 2,125 seats in LKG and class 1 of unaided schools (except minority schools) for the district under the Act. However, the number of applications is much below expectation. As on February 16, the district has received 2,428 applications from parents, which is very less compared to the statewide response. The number of applications received for RTE seats in the state has crossed 2.5 lakh on Monday. As the deadline to submit online application (February 19) is nearing, awareness programmes including street plays are being held to make parents opt for seats in unaided schools. The department of public instructions in association with the NSS unit of Govindadas College, Surathkal has launched awareness street plays to promote RTE programme. In the district, 1,796 seats in Class 1 and 329 seats in LKG in private schools are reserved for the economically weaker section under RTE. As on Monday, the district has received 336 applications for LKG and 2,092 for Class 1. More applications were received for Class 1 from Bantwal and Mangalore North education blocks with 632 and 631 applications respectively. Sullia block recorded the least response – there were only 17 applications for Class 1 seats under RTE. Officials of the district expect more applicat ions in the last three days. The district had shown lukewarm response to RTE seats in 2014-15 too. 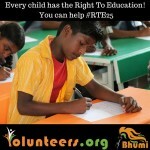 While 2,008 seats were reserved under RTE quota, the department could fill only 1,774 seats. The department had reserved 1,8 82 seats in Class 1 of private schools under RTE quota in the previous year, but only 1,657 seats were filled. Meanwhile, out of 126 seats reserved in LKG, only 117 were filled. HUBBALLI: Vaishnavi Habib, studying in UKG at Chinmaya Vidyalaya, cannot seek admission under the Right To Education (RTE) Act because the government has instructed her school to provide RTE seats only for LKG. The same circular allows schools that do not have pre-primary classes to admit students to class 1 under RTE. Like Vaishnavi, over 3,800 students in Hubballi city alone cannot apply for RTE seats due to the restriction. Though private schools are ready to give seats in class 1, the circular restricts them from doing so. Vaishnavi’s father Vinayak Habib says that though his family falls under the below poverty line (BPL) category and his daughter is eligible for a seat under RTE, the circular is a hurdle. RS Patil Kulkarni of the District Parents’ Association accused the government of bowing to pressure from the private schools lobby. “We had submitted a memorandum to the Dharwad DDPI which he had forwarded to the commissioner. Instead of taking action, the government has issued the same content in an order dated December 7, 2014,” he said. The State government on International Day of Persons with Disabilities made the grand promise of implementing provisions of the Persons with Disabilities (Equal Opportunities, Protection of Rights and Full Participation) Act, 1995, that enables free and compulsory education to special-needs children aged between six and 18. But many officials are unaware of this, as the experience of Shivaprasad M., father of four years and nine-month-old Abhay S. Bhat testifies. Mr. Shivaprasad, who works as a salesperson, had pinned his hopes on the Right to Education (RTE) Act reservation quota in private unaided schools, but was taken aback when Education Department officials said Abhay was four months older than the age limit fixed by the department for admissions to LKG. He said the department officials were not sensitised with the Persons with Disabilities Act and he was forced to run from pillar to post to get his online application form verified. Although he submitted the application on February 2, 2015 he had to wait for the intervention of the officials at the RTE helpline at the Department of Public Instruction to get the application verified two weeks later. “There is lack of awareness about the rights of people with disabilities even among the officials,” he says. Mr. Shivaprasad, however, believes that integrated education would help children with special needs mingle with their peers and help them catch-up quickly. He says he has seen an improvement in his son’s motor reflexes after he joined pre-school. “His main challenge is coordination of motor reflexes and he also has difficulty in walking. But things are improving and that is why I want to send him to a mainstream school,” he says. Bengaluru: When the Lokayukta police caught a cluster resource person of KR Puram Block Education Office (BEO) on Tuesday while demanding Rs 20,000 from an RTE aspirant to issue a caste certificate and block a seat in a private school, they apparently touched only the tip of an iceberg. For it’s deep-rooted racket and private schools have alleged harassment from middlemen, who are using gullible poor parents to make money. As per the RTE Act, 25% seats in private schools has to be reserved for poor students from families with an annual income of less than Rs 3.5 lakh. 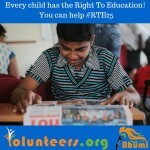 The admissions under the RTE quota began on Monday. Mansoor Ali Khan, secretary of the Management of Independent CBSE Schools Association (MICSA), said even those not eligible for RTE seats have been producing fake income certificates with the help of middlemen to get admission in reputed private schools. Some principals said they have seen applicants coming in cars and demanding seat under 25% the RTE quota for the under-privileged. Kempana Gowda, secretary of Christ School, Kurubarahalli in northwest Bengaluru, claimed that when they rejected the application of some students from families with a high annual income, the parents returned a few days later with middlemen carrying fake birth and income certificates. “When we reject these applications, these middlemen claim they know the local MLA or the councillor; they even call the BEOs who force us to accept the applications,” he said. 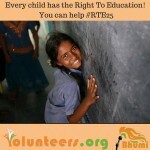 Besides, RTE aspirants can apply only to schools in the ward they are residing in. However, Mahesh AR of Sunrise Public School, Penya II Stage, said some middlemen are providing five fake electoral voter ID cards with different residential addresses, so that a candidate can apply to five different schools in different wards. D Shashi Kumar, general secretary of the Karnataka Associated Managements of English Medium Schools (KAMS), said some schools are not bothered about this racket as the government would reimburse the fees of those children who under the RTE quota. Shashi Kumar, who also runs New Blossoms Education Society, claimed that some government employees have also applied for their children under the RTE quota. The online RTE process application process launched by the state government this year seems to have come in handy for middlemen. Nagasimha G Rao, convenor of the RTE Task Force, said many poor candidates haven’t applied as their parents are computer illiterates. Middlemen, he said, are luring the lower middle class parents to get seats for their children in elite schools by taking bribe. “This year 95% of applicants hail from lower middle class families, middlemen collect some money from them during the time of applying. They receive another payment after the child gets admission,” he said. *of Those aged between 3 to 4years and six months are eligible to apply for LKG and those aged between 5 and 6 years and six months are eligible to apply for class I under RTE. But candidates who don’t belong this age group are producing fake birth certificates. *Parents shift the house from one ward to another ward, where reputed schools are situated.